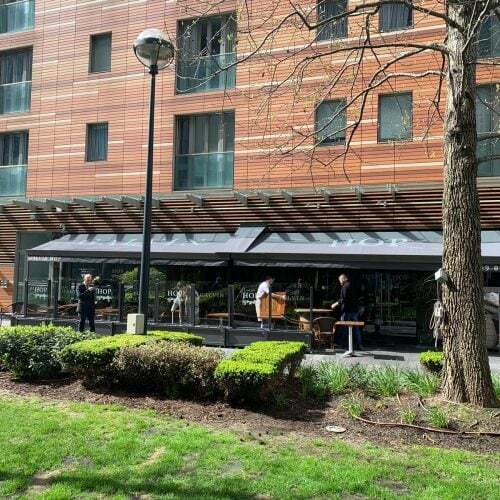 Another restaurant getting ready for the summer season. 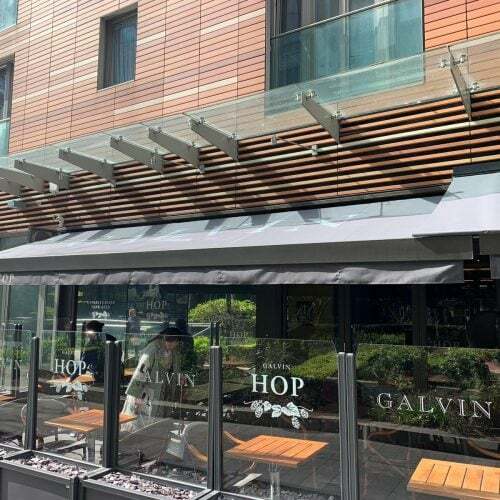 Radiant Blinds & Awnings recovered these classic folding arm awnings for Galvin Hop near Spitalfields Market, London. 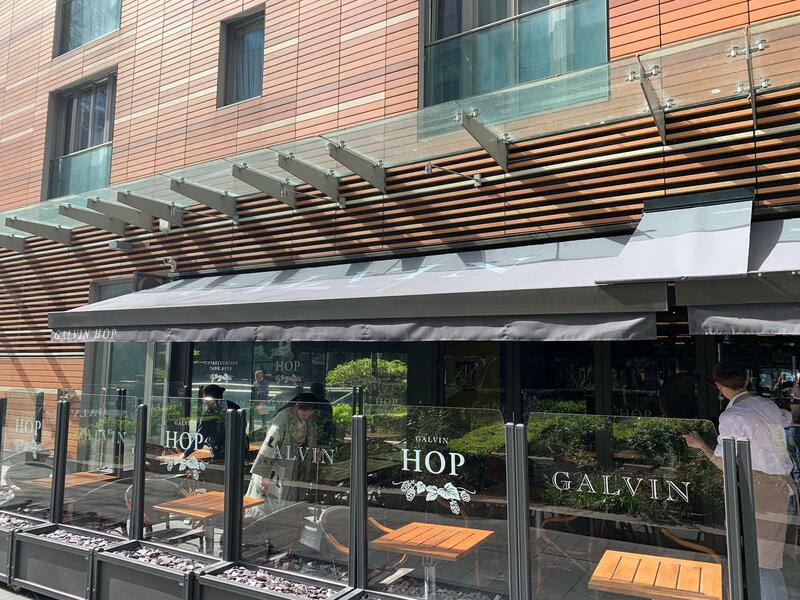 New covers, valances and junction strip for this busy restaurant which is a short walk from Liverpool Street station. 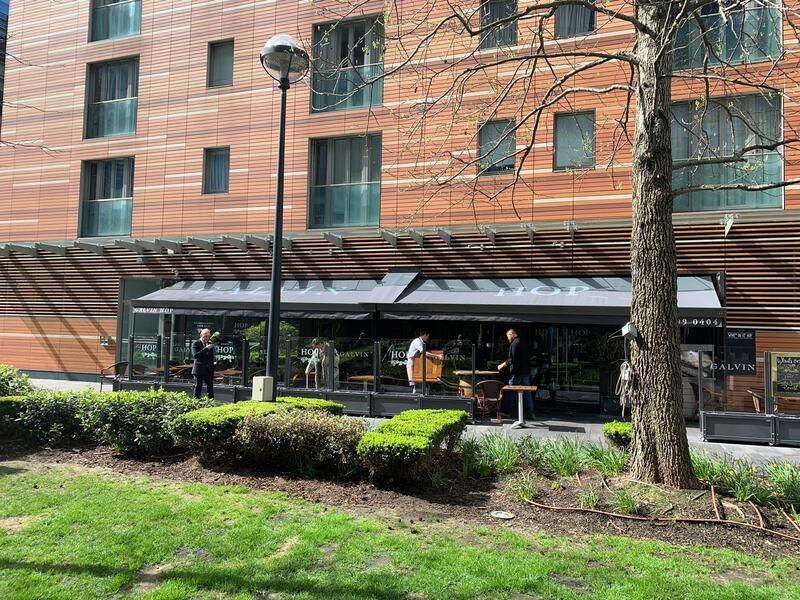 Get in touch today if you have an outside space that needs to look ready for the summer.